We had a great time and some great homebrew at our January Roundtable Meeting. It was great to see some new faces around the table as well! We talked about new equipment, maintaining proper fermentation temps, and gave the new members an idea about our plans for the year. Thank you again to Dallas and his wife for letting us invade their house for the afternoon. We look forward to seeing all you Brewers in February! 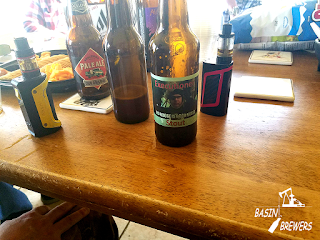 Also: Be sure to check out our updated Permian Basin Beer Scene page. I am trying to keep current a few custom place lists on Google Maps so that beer fans that are new to the area know where to shop!